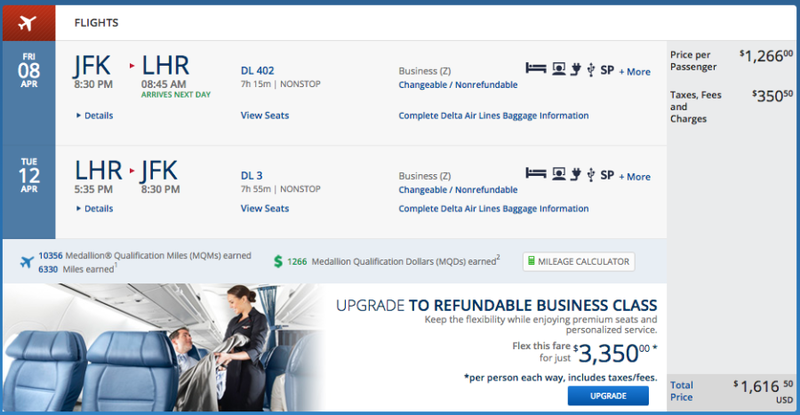 New York (JFK) to London (LHR) in business class on Delta for $1,617. British Airways just launched a phenomenal business-class sale, with fights from many US cities to London priced at just $2,015 round-trip for travel through August 2016. Discounted flights are also available to other destinations in Europe, including Berlin, Madrid, Paris, Rome and many more. This offer can be paired with the $400 AARP discount if you’re able to travel from now through March, though it may be possible to book with the discount if you select a date before March initially, then change your dates on the results page. You can also take an additional 10% off British Airways flights through 2015. You do need to be an AARP member to get the biggest discount, but anyone can join AARP for just $16 per year. You’ll get the deepest discount on flights operated by British Airways or OpenSkies, since you can apply an additional 10% off coupon (more on that below) when you pay with a Visa card. Note that flights are also available on American Airlines, though the additional 10% discount won’t apply. You must book by midnight ET tomorrow to take advantage of these discounted fares. Newark (EWR) to Paris (ORY) in business class on OpenSkies for $1,440. 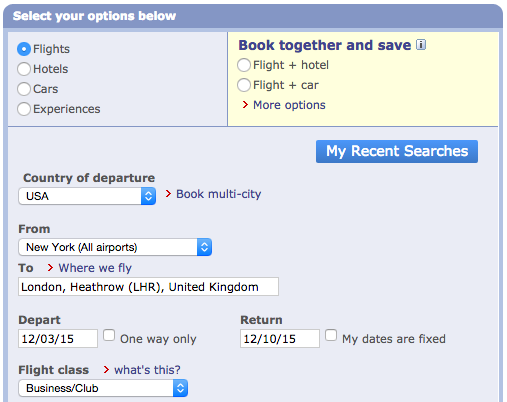 New York (JFK) to London (LHR) in business class on British Airways for $1,449. Los Angeles (LAX) to Barcelona (BCN) in business class on British Airways for $1,440. 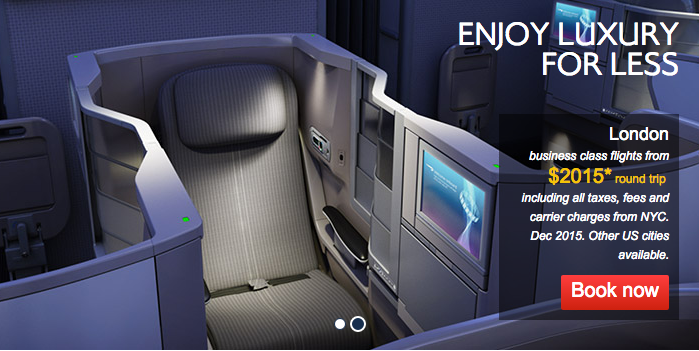 San Francisco (SFO) to Rome (FCO) in business class on British Airways for $1,553. Step 4: On the next page, you should see a fare of about $1,610 round-trip, including taxes and fees. Scroll down to the Promotion Code Or eVoucher field and enter promotion code “CARDOFFERU” and click submit. Step 5: Review your fare and click through to purchase. If all goes well, you should see an additional 10% discount applied, dropping the fare by $161 to $1,449. Confirm all flight details — you can cancel for a full refund within 24 hours of purchase, or you can cancel any time before departure for a $500 fee.